Here it is: Early retirement charted out for you. At some point in time everyone has probably thought it would be nice to retire early and wondered what it would take. Well, I’m going to show you a simple chart that tells you exactly what it requires. The amount of income you earn isn’t the largest factor in how long it will take for you to retire. Someone who earns $100,000 per year but spends $100,000 – or more likely $105,000 – isn’t going to get to retire any earlier than anyone else. But someone who makes $50,000 and lives off $25,000? Well, that person will likely be able to retire early. See, it isn’t what you make, but what you save. Specifically it is how much you save as a percentage of your take-home pay. 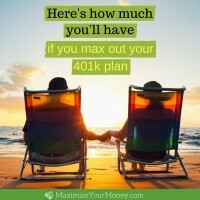 First you’ll need less total money to retire. You don’t need to replace $50k of spending in retirement – only $25k. 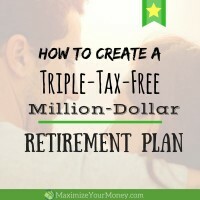 So your target retirement balance will only need to be half as large as someone who spend their full salary! Secondly, you’re able to put a LOT of money into the retirement account. Compare to someone saving 10% of their salary – fairly common “expert” guidance. By saving 50% of your income in this example, you can retire in 1/5th the number of years it would take the 10% saver! So your investments will grow faster through larger contributions, and the target will be lower. That shortens the time you have to work before retirement. The larger the percentage of your income you save, the faster you can retire. Want to retire early? This is how to do it. But “living” is expensive, right? Yes, your cost-of-living will certainly impact your financial situation. But are changes you can make to control those costs though. Consider the example of Mr Money Mustache (not his real name). He’s a very popular blogger who is all about minimalist spending. He’s sort of the superman of frugal. Even with three people in his household – his wife and their son – they’re able to live about 70% cheaper than the average American family. The Mustache family had spent right around $22,000 in 2016. Seriously. And they didn’t just sit around the house staring at each other – they are a very active and happy family. Your priorities need to be straight to achieve this. Because it takes sacrifice. Something has to give. You can just buy “whatever you want” and expect to maintain a frugal lifestyle. But perhaps it would be worth it? OK. We’re almost to the cool chart. First though let me clarify some assumptions. For math simplicity this chart assumes that someone current investments balance is zero. Not a single nickel saved. Someone who has money already saved and invested will be able to shorten the timelines. Why? Because I don’t like the financial experts who throw around big unrealistic numbers like 12% returns each year. The market has returned between 9 and 10% annually over it’s history. 8% is a fairly conservative number and not unreasonable. The US government targets an inflation rate of 2% per year. Inflation, when kept in control, is actually a good thing. The long-term historical rate of inflation is closer to 3% though. I’d rather estimate on the more conservative end, so I picked 3%. With investment returns of 8% and inflation of 3% that means the purchasing power of your money will grow at 5%. We’re going to call that our investor returns. What we really care about is purchasing power. A million dollars in 20 years isn’t going to go as far as a million today. So we need to account for inflation, and we’ll do that by subtracting it from the annual returns. I’ve written an entire post explaining the 4% rule if you want to read it. Short story though, if you are earning 5% (or more) annually on your investments, you should be able to withdraw 4% annually with a high chance of never running out of money. I read an article recently on this topic so did the math myself to double-check results. Based on those results I created the chart below. The chart starts with someone who saves 10% of their take-home page and calculates how many years they’d need to work before retirement. We then look at 20%, 30%, etc all the way to saving 70%. That popular idea of saving 10% toward retirement? Well, it sort-of holds up. But only if you start at 20 and retire at 71. To me 10% just doesn’t look like enough to save. 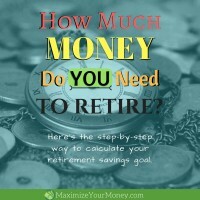 Just by increasing your annual savings from 10% to 20% you can retire about 15 years sooner! Now we’re talking! That’s a huge gain in enjoyable retirement years. Someone who saves 50% of their take-home pay could actually retire in a short 17 years. What? Why didn’t anyone tell me this when I was 22 and recently graduated from college? A recent graduate who really kept their spending low could retire before they turned 40. That would be awesome! Yeah, “just” sounds good but it isn’t easy. It also isn’t impossible though. What if your household income is around $75,000 and you could live off the $22k like the Mustache family? You could retire in a (really) short 9 years. Would it be worth it? You’d need to decide that for yourself. It’s certainly thought-provoking though isn’t it? How much are you saving right now? How long do you think it will take for you to retire? Will you consider scaling down your budget so you can retire earlier? Let us know in the comments below. By the way, a financial coach can help with budgeting, college planning, debt-reduction, and positioning yourself for a comfortable retirement. If you’d like to talk, just reach out to us. PS: Mr Money Mustache wrote a post back in 2012 that provided inspiration for this post. 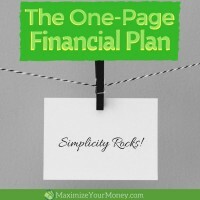 He has some great articles on his site and it’s definitely worth checking out if you are interested in a super-frugal lifestyle. 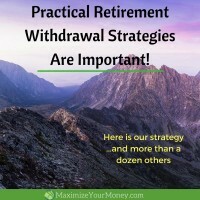 Practical Retirement Withdrawal Strategies Are Important! 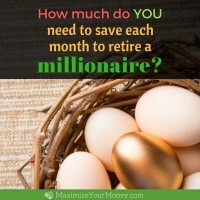 How much do you need to save, from any age, to retire a millionaire? 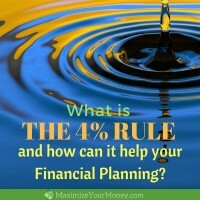 What is the 4% rule and how can it help your financial planning? I love the win-win of this article! Very informative and entertaining. I am going to check out Mr. Money Mustache, not that I’m willing to reduce my lifestyle to that level. But I will admit it is very impressive! I love you comment about increasing from 10 to 20% shaving off 15 years, that’s pretty motivating. Yeah, I was pleasantly surprised how much time can be knocked off the retirement timeline just by saving an additional 10%! Thanks for commenting Ron! This is a very detailed and very well design plan. And that is what it rakes to retire a well design plan. I like the fact that you mention that the larger the percentage of your income you save, you fastest you can retire. How truth. Great post, but what worries me is the future may not follow past trends when it comes to medical costs. My insurance is costing me over $10,000 per year for me and my wife and that is for a catastrophic coverage policy, meaning it won’t pay a penny until I’m out of pocket over $12,000. So in a year when one of us has an issue we’d face at least $22,000 out of pocket costs. That’s not a problem for me since I budgeted about $15,000 per year in medical spending until we hit Medicare age but it would sink someone planning for a $25,000 annual spend. I know many have figured out how to game the system (my brother) so that they can get subsidized coverage even though they are millionaires but I have to believe the government will eventually move to cut that loophole out and use the Medicaid means test to eliminate subsidies for high net worth individuals. Especially as the FIRE movement gains followers there is going to be a growing resistance to letting relatively wealthy people get a free ride. If that loophole is eliminated I don’t see how anyone can avoid buying very expensive insurance. No matter how frugal you are you can’t avoid medical emergencies and can’t really live in this country without medical insurance. Hi Steve, thanks for stopping by! I agree that medical costs are insane and getting worse! It doesn’t really impact the premise of this post though. Yes, it would sink someone like Mr Money Mustache but I don’t advocate trying to live on such a low budget anyway. We spend more than 3x what he does, and our family is half the size! As for insurance, I plan to research healthshare options for our family next year. It looks like there are a number of decent options with rate around $150/month per person. That $450 for the three of us would be less than half a standard Blue Cross Blue Shield rate with similar benefits! It might be something worth looking into for yourself also. Can’t hurt to check it out. Thank you for a well thought out article. I truly believe you hit the nail on the head with your opening comments about, “It’s not about how much you make, but how much you save.” We have a well-known problem in this country regarding the “art,” or rather “will” to save. A friend of mine worked at financial institution managing investment portfolios. She relayed to me the story of an individual that lived in a trailer and sold fruit on the side of the road. When he passed away he had hundreds of thousands of dollars in the bank. Her point to me was that he hardly spent what he made. From this story it’s evident that most anyone can save for retirement if they try and have a well laid out plan like the one you provided. Great story! Thanks for stopping by and sharing that Michael! Good way to lay it out. I agree with previous comments that the major thing to think about with any sort of retirement these days is health care. We are constantly looking for different options/alternatives to help tackle this cost in the future. We have done a great job of increasing our savings rate to over 20% by my simple estimations. Once some student loans are finished being paid we hope to be in the 40-50% range along with increasing our income at the same time. Great stuff as always Brad! Thanks Cameron. Have you looked into the HealthShare options? We’ll be researching those soon to consider for 2018. Early on in your working career, it may be tough to save more than 10%. But as you get raises and promotions (hopefully!) you need to resist the temptation to spend the increase – invest at least of a portion of it instead. We’ve always been pretty good savers and investors, but we got really serious about it over the past 5 years or so. When your savings rate exceeds 50% some pretty amazing things can happen. That’s great N2S – and increasing savings rate over time is a great tip! Thanks for sharing. Very thought provoking for sure! Saving is one piece of the FI puzzle where our family is working hard. Our mortgage will be paid off by the end of the year. We’re pumped! The other piece of the puzzle is increasing your income. Rental real estate, a side hustle or increasing your salary at work … these will all help people reach Financial Independence sooner. Indeed Andy! If you can keep your spending the same but increase your income, your savings rate ratio can climb nicely without any impact on life activities. It’s a great part of a financial fitness plan! We’re under the category of super frugal I think…I didn’t know we could retire in 7 years though. That’s kind of crazy. Even saving at 10% if take-home, I mean working until 71 isn’t great, but there’s still life left especially with medical advances. Not bad for what’s essentially sales tax in Seattle! Eye opening! Lily, I read your posts regularly (good stuff!) and I agree you would be in the super-frugal category. You two over there are doing a GREAT job with your finances. It’s very inspiring! Thanks for stopping by.